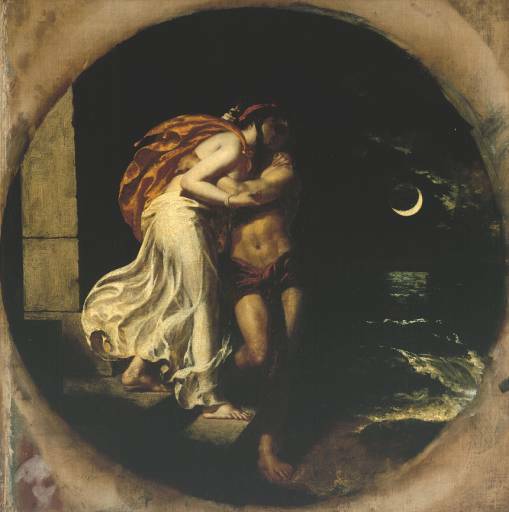 Hero and Leander are two of the most famous lovers in Greek myth. Hero was a beautiful young maiden, and priestess of Aphrodite who dwelled in Aphrodite's temple, a tower in Sestos, at the edge of the Hellespont. Leander, a handsome young man from Abydos, on the other side of the strait, fell in love with her, and he would swim every night across the Hellespont to be with her. Hero would light a lamp each night at the top of her tower, to guide his way through the treacherous waters. 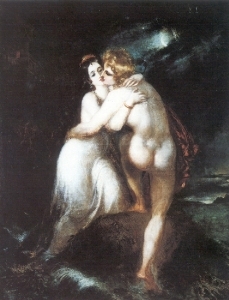 Succumbing to Leander's soft words, and to his argument that Aphrodite, as goddess of love, would scorn the worship of a virgin, Hero allowed him to make love to her, and thus their love deepened. 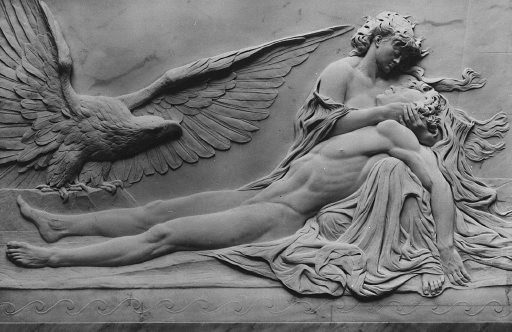 But then came one terrible, stormy winter night; the waves tossed Leander in the sea and the wind blew out Hero's light. 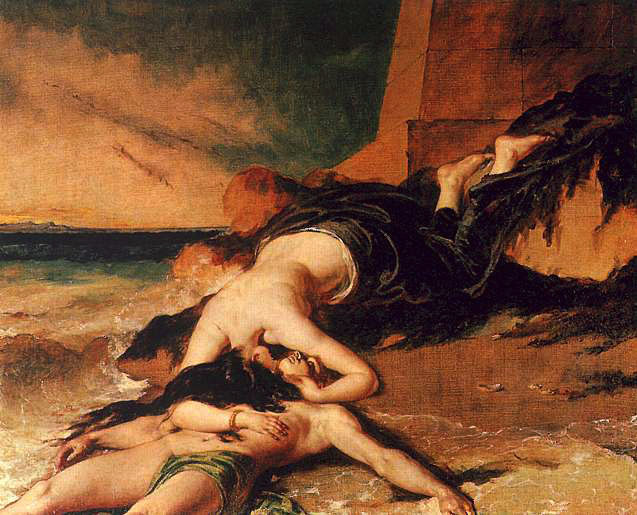 Leander lost his way, and was drowned. Hero threw herself from the tower in grief and died as well. that’s ashamed to speak of things it delights in doing. for you always leave me, as sleep does. so that our joys lack nothing of faith and truth. Why do I spend so many cold, empty nights? Why are you so often, lingering slowly, absent from me? Hero and Leander Tile Swap Puzzle as well as many other lovely and fun puzzles of Lovers.